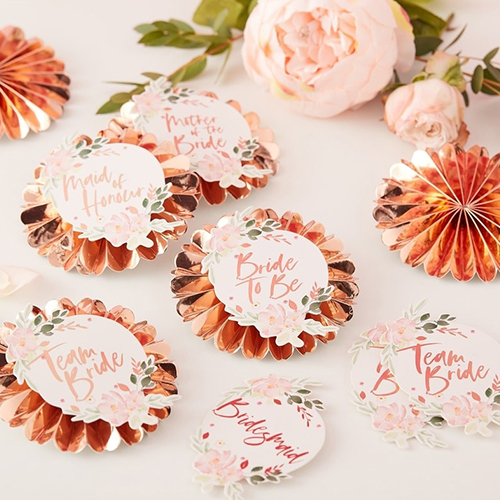 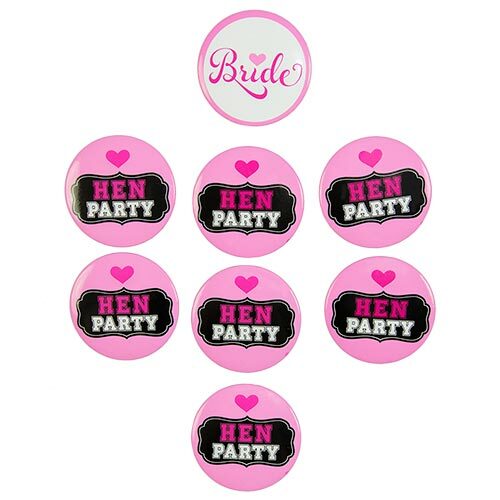 Badges are such a great idea as a classy hen party accessory for the group, they aren't tacky, they're not too big and the rose gold floral badges can be customised for each group member. 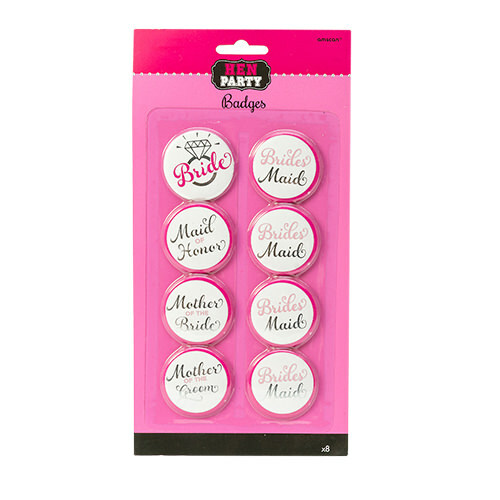 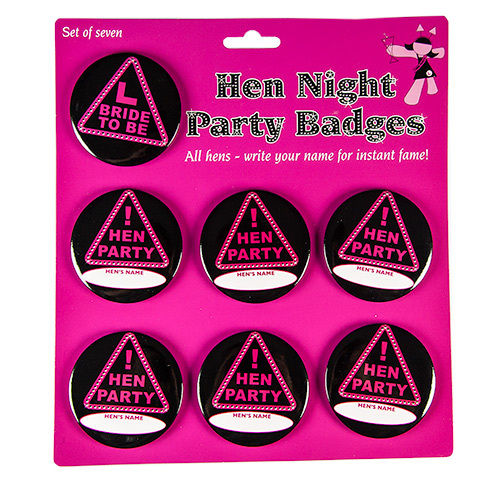 At 9cm diameter these badges are a nice size, not too big and not too small, just right to be part of a classy hen party look. 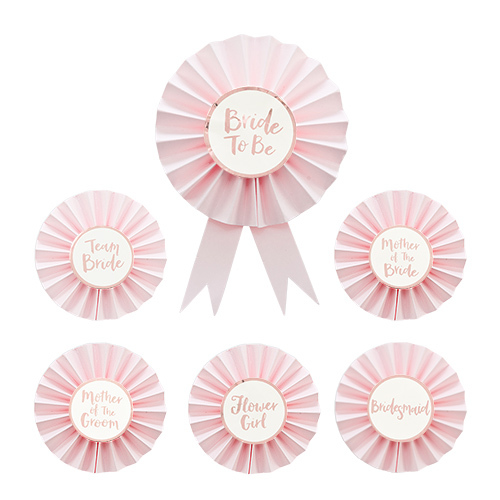 This is a pack of six badges and you can customise them, as they come with a pack of stickers to place on the front which contains, 4 x Team Bride, 4 x Bridesmaid, 1 x Mother of The Bride, 1 x Mother of The Groom, 1 x maid of Honour, 1 x Bride To Be.